Welcome to our pages on Conveyancing and residential property in the Cambridgeshire area. We are a legal firm who specialise in dealing with Residential Property Conveyancing. We understand the importance of communicating with everyone involved in the process, the importance of acting quickly and efficiently so there are no delays and most importantly, in providing a low cost value for money service. Please contact us for a free no obligation chat about your property conveyancing needs on 0800 3 10 11 12 or use our online enquiry form. Our residential property conveyancing team offers a high-quality property service which is responsive and competitively priced. The team have many years experience and knowledge which helps to ensure transactions proceed as smoothly and quickly as possible. We aim to make the legal process as simple and as straightforward as possible. If you would like more information about the legal processes involved in buying and selling a house, or indeed an estimate of the costs involved, please call us for a free no obligation chat. If you are buying or selling a property in Cambridgeshire then expert legal advice is a must. When you buy or sell a property there is a rigid process that is applied by both parties. See some useful tips and advice on property conveyancing here. Estate agents owe a duty of care to the seller in carrying out his duties. Gifts and transfers of property in Cambridgeshire can be done at any time. With property prices at an all-time high, buyers are finding it increasingly difficult to raise the 20% deposit needed to secure a home. The majority of people require a mortgage when purchasing a property. See more. Moving home can be very complicated especially if it is your first property. The council usually have restrictions and conditions if you wish to buy your rented property. 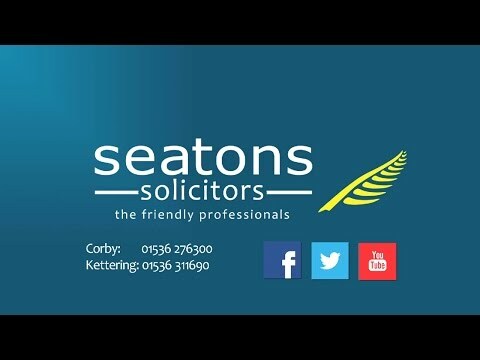 If you decide to sell a property in Cambridgeshire, you want a solicitor who will provide an efficient service. I’m Gemma McKimmie, head of the Conveyancing department at Seatons in Corby. We aim to provide our clients with an outstanding legal service and cover Cambridgeshire as well as England and Wales. Distance not a problem!